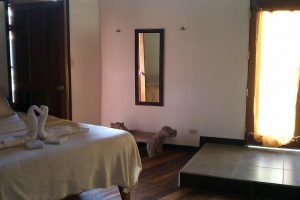 Costa Rica is a magical country, has wonderful places, such as forests, and jungles to explore with landscapes that fall in love, especially its cloudy forests, popular for being magical, as they seem taken out of fairy tale. 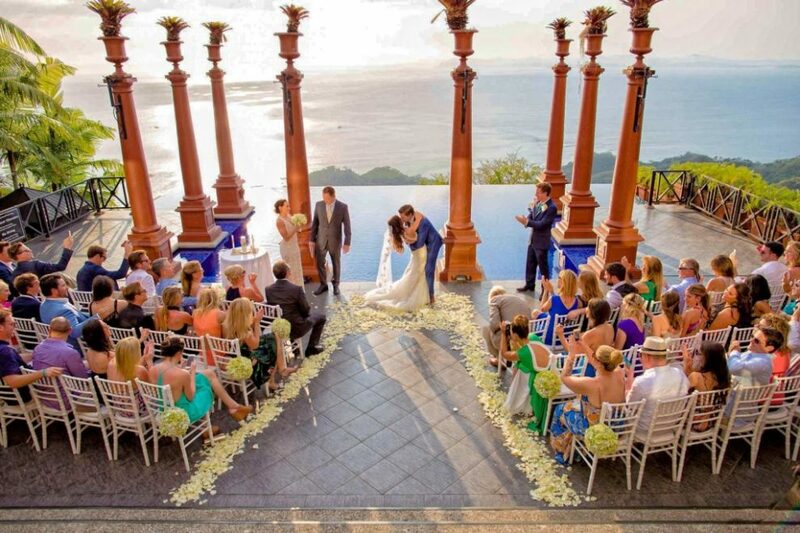 In Costa Rica you will not miss places to get married from volcanoes, wild beaches, warm or cold, with waves, or soft, or even make your wedding in catamaran in Manuel Antonio ¿can you imagine? ¡A unique wedding! 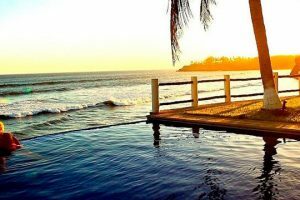 In Costa Rica you live the best of two worlds, for all tastes, the classic or the elegant, the beach or the rural is your alcense, make the wedding of your dreams in this ideal destination. 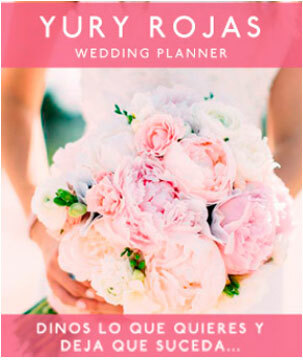 Do you want to find the perfect setting to frame the most important day of your life? 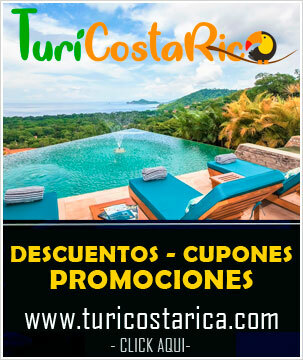 history, gastronomy, customs and with an unbeatable warmth ¡Manuel Antonio! 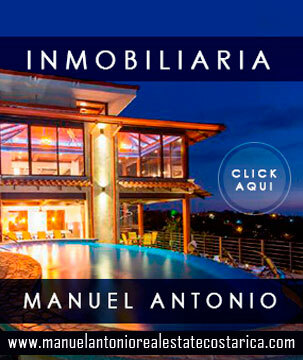 Manuel Antonio is a spectacular place in every way, nature, wildlife, crystalline beaches, and its people make it an exquisite destination to enjoy and to marry. 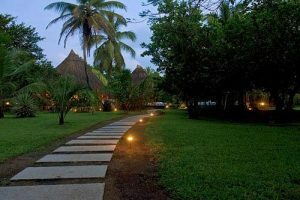 Considered one of the happiest places in the world, surprising you since you arrive, for its great variety of different scenarios for all tastes and expectations, ideal for perfect and beautiful weddings. When you are in Manuel Antonio, you can enjoy the different wild places, such as beautiful beaches and parks with all the splendor of nature; without forgetting the exquisite cuisine, the best luxury hotels and endless tours, excursions and catamaran tours touring the Pacific Ocean, as well as different activities that this magical paradise offers you, and all the guests of your wedding. This is the only place in the world with incredible places for weddings within the forest, next to the ocean, or in the ocean, at weddings on a catamaran, with views of waterfalls, mangroves, hot springs, rivers, lakes or volcanoes. The place where you pronounce the so longing “yes, I accept” must be magical, unique and special. Every day many couples look for paradisiacal places to celebrate their great day, beautiful places, that are captivating, of course, either on the beach, in a hotel, or an intimate ceremony between friends and family in a small chapel; for that reason every day the weddigns planner in Manuel Antonio look for fun, creative and unique ways to celebrate weddings, and one that has been very striking for those who wish to give themselves the “Yes, I want” has been catamaran weddings in Manuel Antonio. Get away from the classic and the conventional by celebrating a unique wedding, and unmatched tropical style in a beautiful wedding in Catamaran in Manuel Antonio. Imagine that while you give the “I accept” next to the sailboat, next to the sound of the waves a group of dolphins or whales pass, they will make it much more special, and it will be unique. Something very incredible, to make weddings in catamaran in Manuel Antonio is the ease and tranquility that it gives you to be on board a ship, sailing to dreamed places, where you can stop and perform the ceremony example: in the Bay of Bisanz, a small lonely island full of endangered animal species, and a captivating wildlife; also discover the hidden coves, only access by sea, with turquoise waters, white sand impossible to access from land, deserted beaches with turquoise waters or simply navigate the waters of the Pacific Ocean in the company of the people you love . 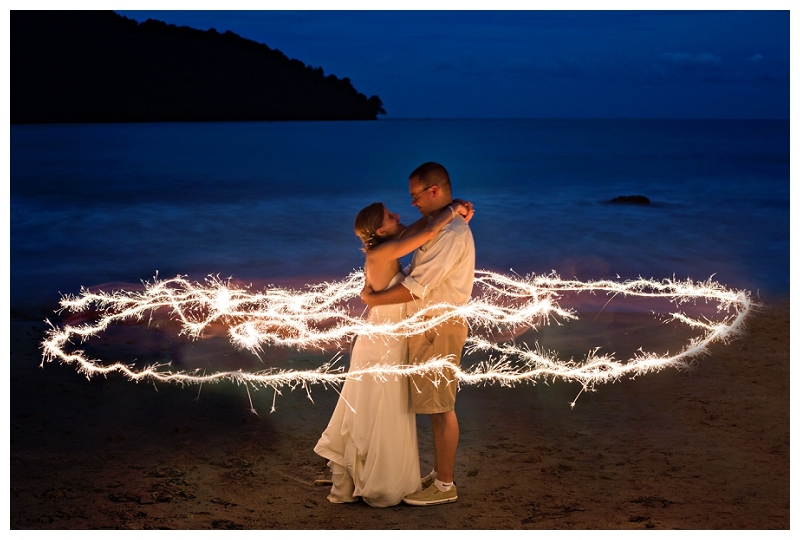 Sometimes thematizing a wedding can be a real madness, but with Weddings in Manuel Antonio, you will have a team of qualified Weddings Planner experts that will make all your ideas come true, while you relax on the beautiful beaches, or visiting the volcanoes with the guests of the wedding. You decide what you want, Catamaran sailboats, or motor catamarans, we both have them for you, whether it is to make a beautiful wedding on the Ocean King catamaran or have a luxurious wedding aboard the beautiful Camaradian Velero, so have the best wedding in Manuel Antonio on catamaran with weddings in Costa Rica. It should be noted that a wedding on board a sailboat adds romanticism, elegance and luxury, as they go to the beat of the wind. On the other hand the motor catamarans offer us a wide range of models, and styles, of all sizes, depending on the requirements of the couple, adapting to the tastes, going through the most classic and comfortable, even the most sophisticated, such as catamaran Ocean King or Catamaran Adventure, with slides, jacuzzis, its own bar and more, everything we can imagine at our fingertips, making a perfect complement to a dream wedding, plus you would spend a fun day with your friends and family , doing snorkeling, diving, visiting different islands, and last but not least, seeing one of the most beautiful sunsets in the world. ¿Unique? ¡Definitely! 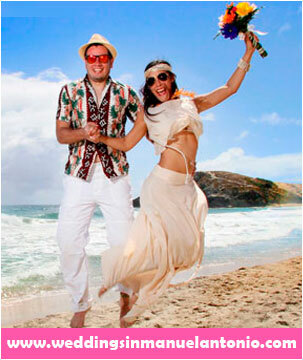 Celebrate the most important day of your life with your friends and family at a catamaran wedding in Manuel Antonio, remember that celebrating is at your fingertips.